Amazing location, updated and ready for move in. 3 Bedroom 2 bathroom. Bamboo flooring, Large kitchen with Island, marble countertops in kitchen and bathrooms, gas Cooktop/stove. Cozy living room with rock fireplace. Custom updated bathrooms . Custom doors and designer paint colors throughout. Master suite with 2 walk in closet s Bedroom has outside access. Dual pane windows. 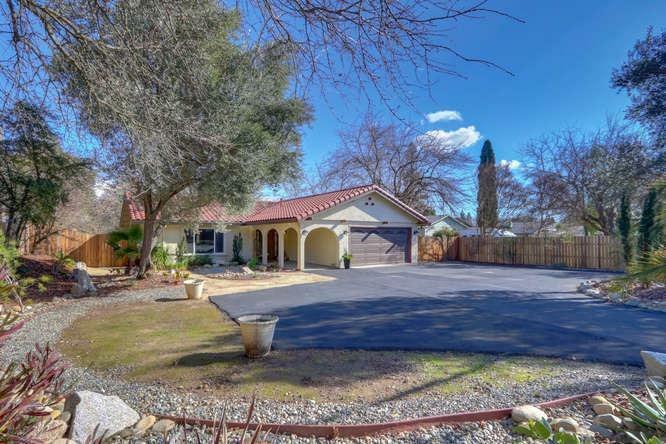 Newer tile roof, Large landscaped yard with out buildings and garden Side RV parking with gate. Circular driveway and lots of parking. This Custom house is a must see.